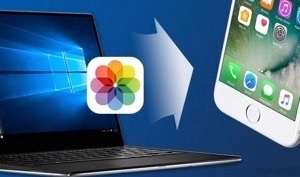 Want to know how to transfer photos from PC/Mac to iPhone 6/6s? Read this post and know three ways to get pictures from computer to iPhone with/without iTunes. After getting your iPhone 6 or iPhone 6s, you may want to get some lovely pictures from computer to iPhone 6/6s with ease. Of course, iTunes can help you sync and copy photos from PC/Mac to iPhone but it means wiping all existing data on iPhone. So here we’ll show you three ways to transfer photos from computer to iPhone 6/6s with and without iTunes. Supports transferring photos, videos, music, ringtones, contacts, app, messages, calendar, books and more from PC or Mac computer to iPhone. Able to transfer 3000+ photos in 5 minutes. Making your transferring process from computer to iPhone 6/6s to be both time-saving and labor-saving. Guarantees you 100% Safe & Security. AnyTrans for iOS is absolutely clean and won’t wipe or keep any of your private files during the process. Step 1. Run AnyTrans for iOS, connect iPhone 6/6s to computer by using a USB cable, and click “Add Content” button as shown in the screenshot. Step 2. Select the photos you want to upload to your iPhone 6/6s, and click “Open” to finish all transferring process. 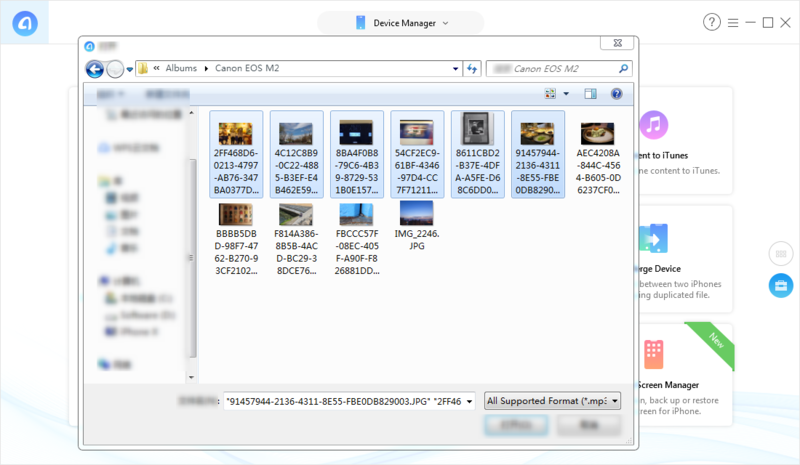 After transferring process finished, all selected pictures will be saved in Photo app on your device. You can also use this method to upload songs, PDF, videos and other AnyTrans for iOS supported file types to your iPhone 6/6s/7/5/5s/4/4s/SE. The uploaded files will be put into the right app on your device. 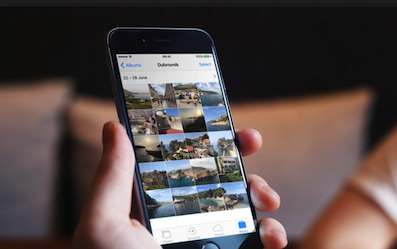 While transferring photos from computer to iPhone 6 with iTunes, your previous photos, music and other data might be removed and replaced by the photos. Please be careful with this method. Step 1. Connect your iPhone 6/6s to your computer, wait until your computer has detected your iPhone. Launch iTunes if it doesn’t open automatically. Step 2. 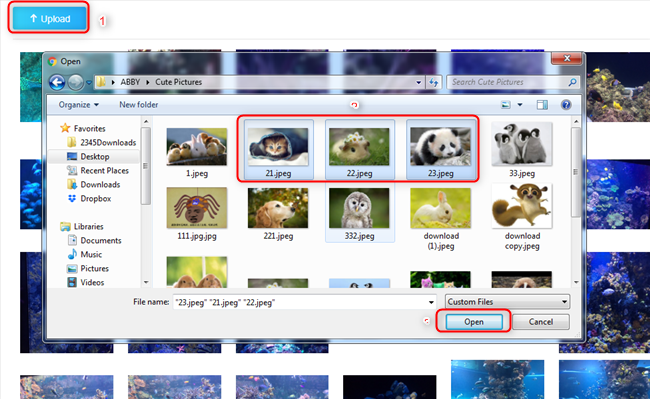 In your computer, create a folder with the photos you want to transfer. Step 3. In iTunes, select your device name and tap the Photos tab. Step 4. Choose the folder you created before. Step 5. Click the Apply button to start transfer photos from computer to your iPhone 6/6s. While transferring photos from computer to iPhone 6 with iTunes, you may get the notification of iCloud Photo is On. Here are three solutions for this. Solution 1. Turn off iCloud Photo. Go to Settings > [your name] > iCloud > Photos. Switch the tab next to Photos, choose Remove from iPhone or Download Photos & Videos, your iCloud Photos is now turned off. 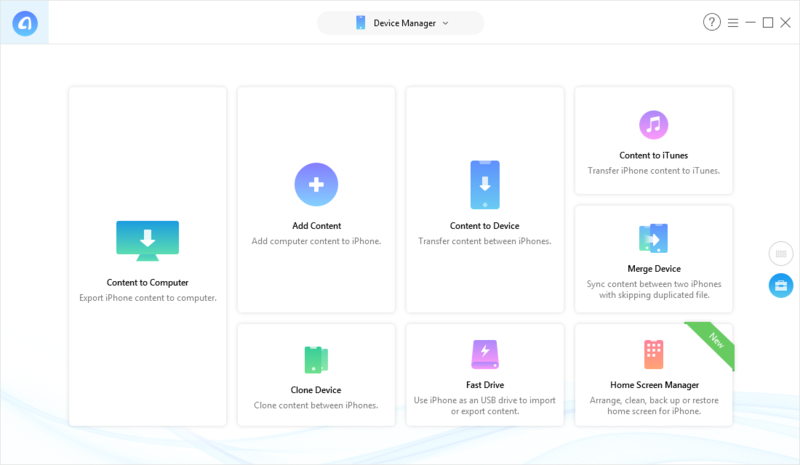 Please note that after turning off iCloud Photos, you have to either remove all iCloud photos on your iPhone or download iCloud photos and videos to iPhone, which would be a large burden for your iPhone. If you are not satisfied with this solution, please refer to other solutions. Solution 3. Do as Part 1 shows. 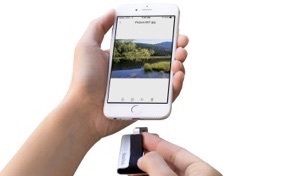 If there is no USB cable available or your iPhone cannot be recognized by your computer, then you can try the AnyTrans app on your iPhone to transfer photos from computer to iPhone 6/6s (Plus) wirelessly. Install AnyTrans App on your iPhone. 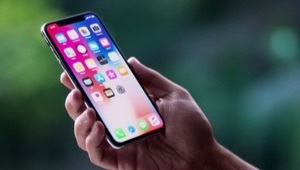 Make sure your iPhone and computer are connected to the same Wi-Fi, and cellular data would not work in the following steps. Step 1. 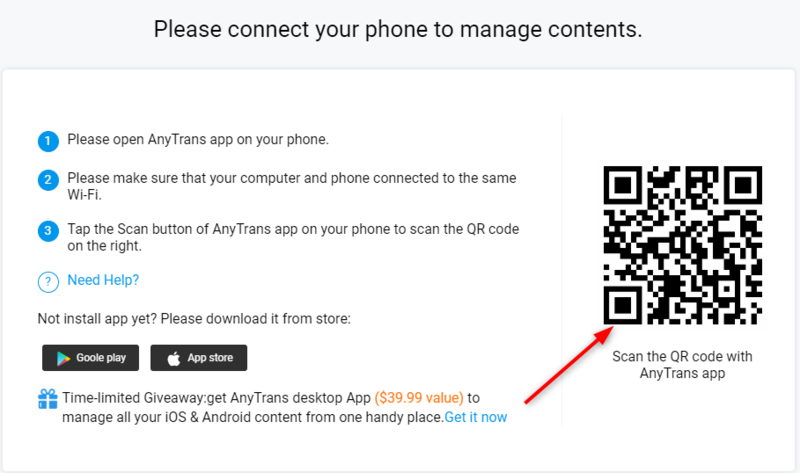 On your computer: Go to anytrans.io and you will see a QR Code. Step 2. 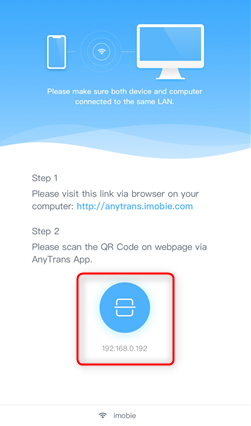 On your iPhone: Open AnyTrans app, and tap on the Scan button to scan the QR code on your computer. Step 3. Then all your iPhone photos will show up on your computer. Select the photos you want to transfer and click on “Upload” button to transfer photos from computer to iPhone 6/6s (Plus) wirelessly. AnyTrans for iOS can help you transfer photos from computer to iPhone 6/6s without any data erasing. Also you can use AnyTrans for iOS to access iTunes/iCloud data, download videos on device and etc. Why not just give it a try? If this post solved your problem, don’t forget to share it with your friends.